Acquire Insights is available with our Acquire Pro product. 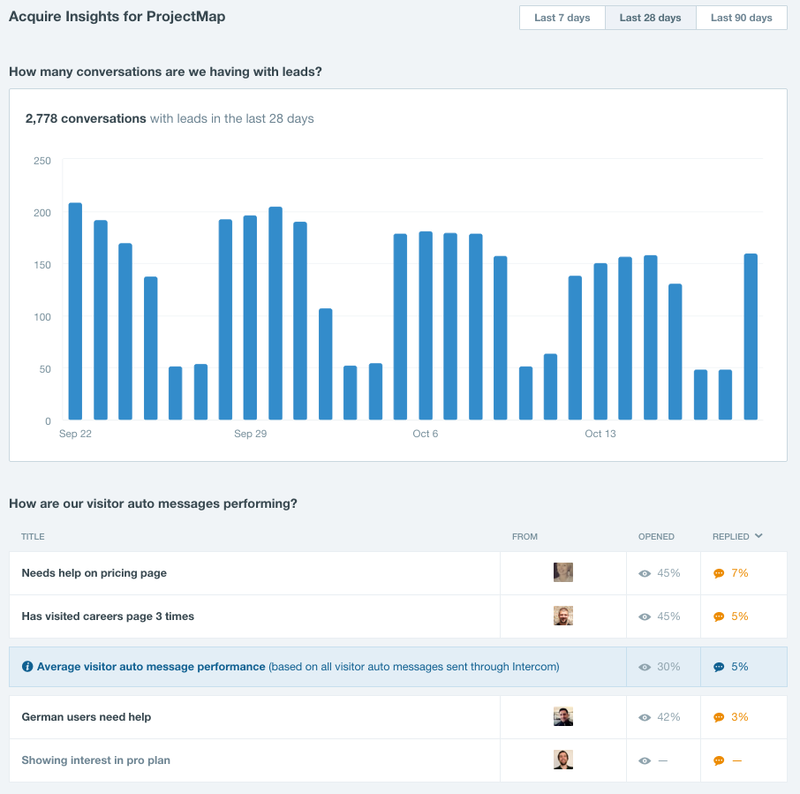 Acquire Insights will let you see how your team is performing, how many conversations you're having with your leads, and how your automatic messages are doing. 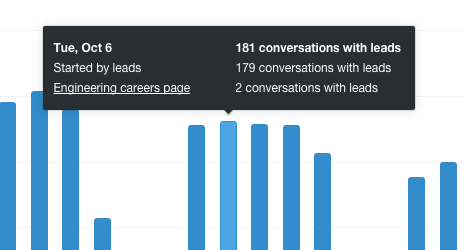 Acquire Insights help you understand how many visitors to your site are having conversations with your team, and whether those conversations were started by leads or in response to visitor auto messages. Acquire Insights shows you the open rate and reply rate for each of your visitor auto messages. Well-targeted messages should see an open rate above 30%, and you should aim for at least 5% of recipients to reply to your messages (Assuming you're asking a question). To help benchmark the performance of your messages, we show you the average performance of visitor auto messages across all Acquire customers. What timezone is used to calculate the date? We use your app’s default timezone (which you can set in your app settings) to determine the time and date the message was received. For example, if your app is set to Pacific Time and a user sends a message at 9am Wed from New Zealand, Insights will show it as being received at 2pm on Tue, as this is the local time of your app when the message was received. At the top of the page, you can select one of three time ranges: 7, 28 or 90 days. By default, we show you the last 28 days of data, but you can easily change this to view the last week, or the last 3 months of incoming messages. We will be adding date filtering to this section soon so you will be able to view specific date ranges.